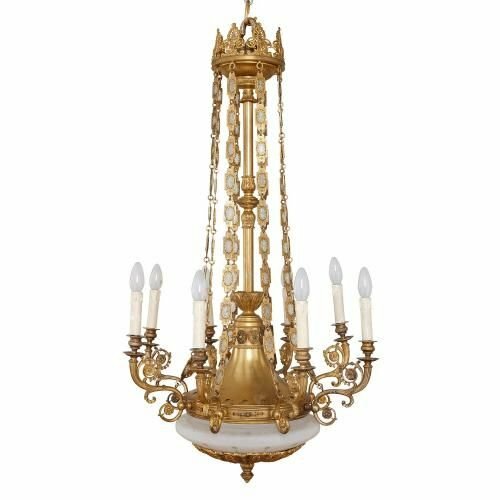 This fine antique chandelier exudes majestic opulence, and is notable for the quality of ormolu casting which is offset by the opalescent glass details. This chandelier is a testimony to the refined, symmetrical features that were synonymous with the French Empire style. 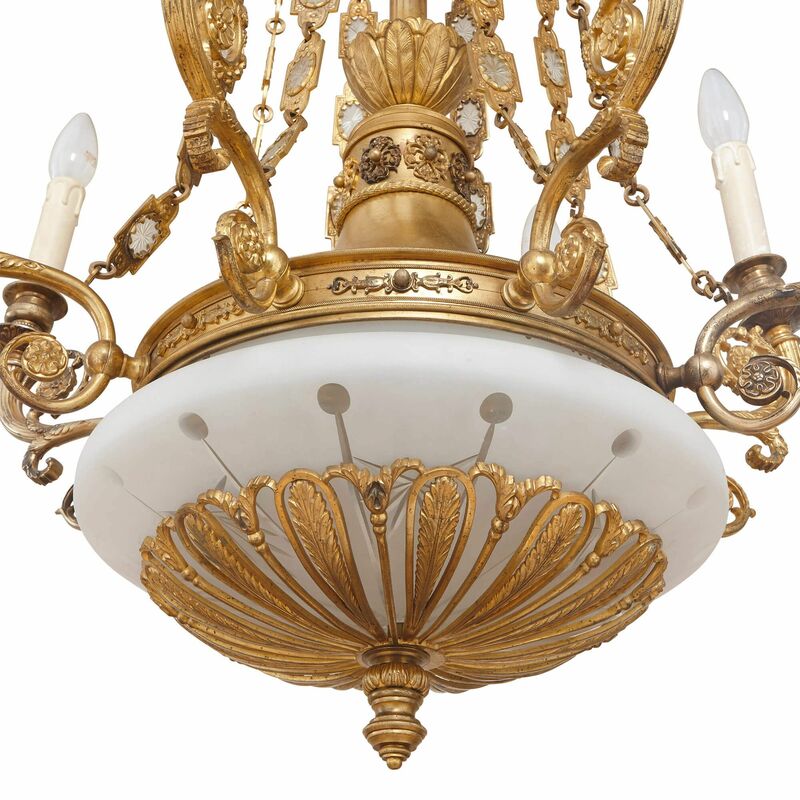 The design of the chandelier is formed around a broad, stepped, opaline glass bowl, which is mounted to its underside with a large, foliate ormolu cap with a pointed finial. 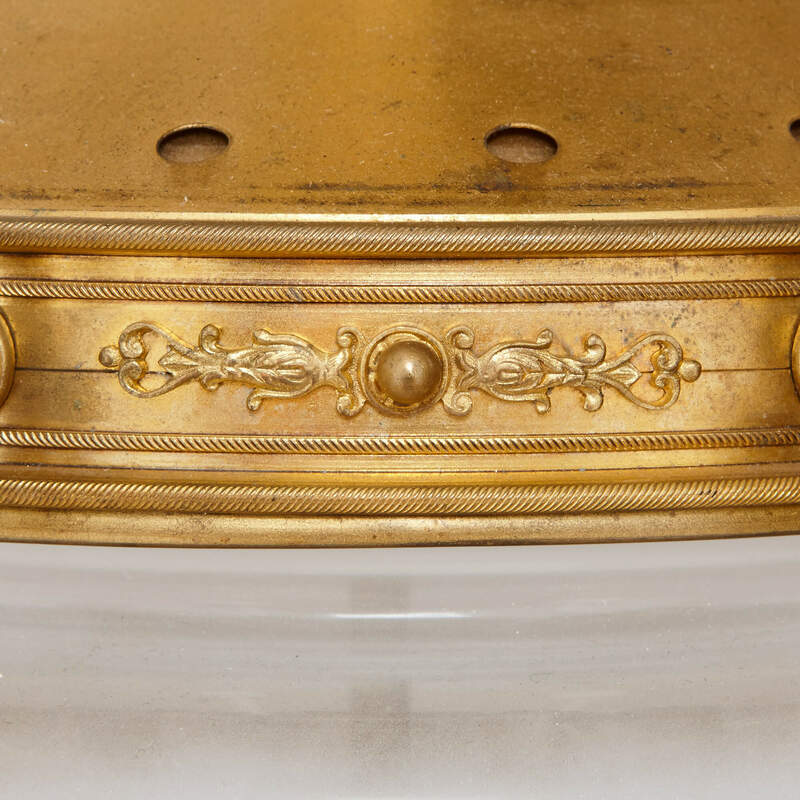 The glass bowl is covered with a tall, curved, ormolu lid which issues eight intricately scrolling branches, upon which are set eight electric light fittings styled as candles. 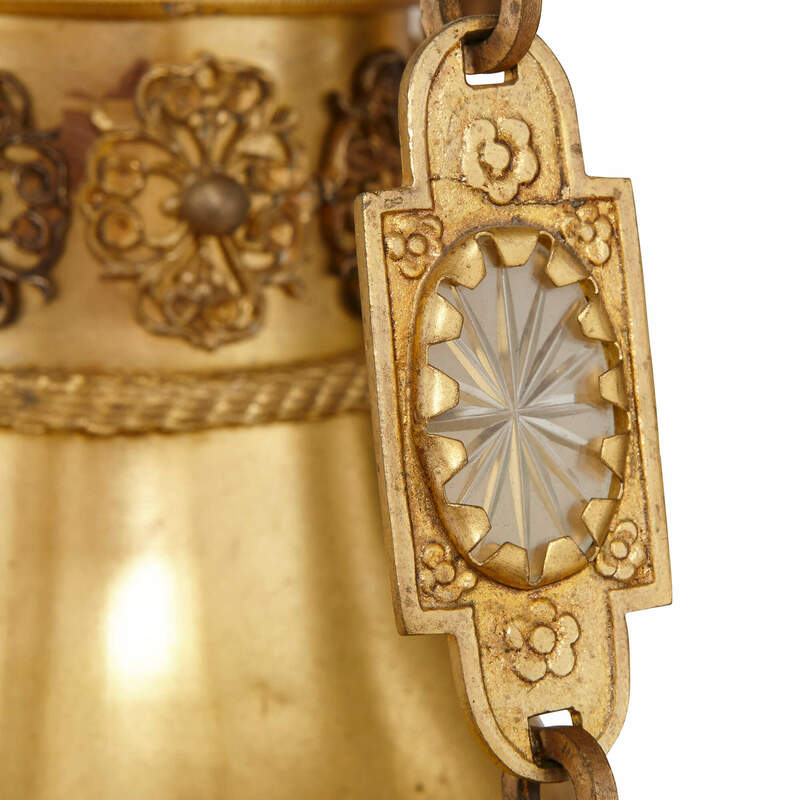 Attached to each of the light branches are long, hanging, ormolu chains that are inlaid with ovals of glass. 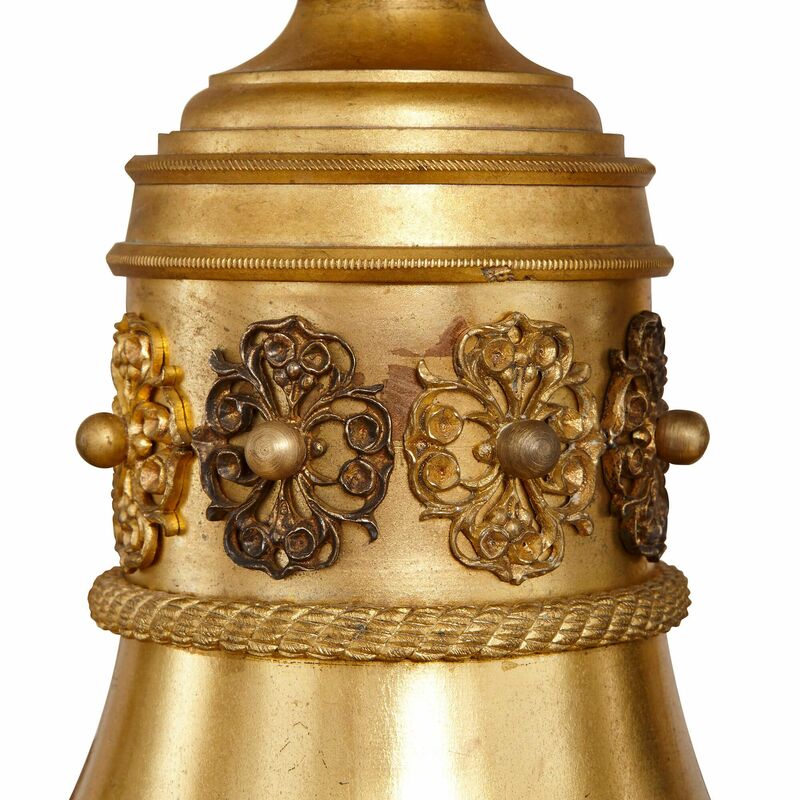 The chains lead upwards around a central ormolu column to an upper ormolu socle ornamented with a pierced, scrolling gallery. 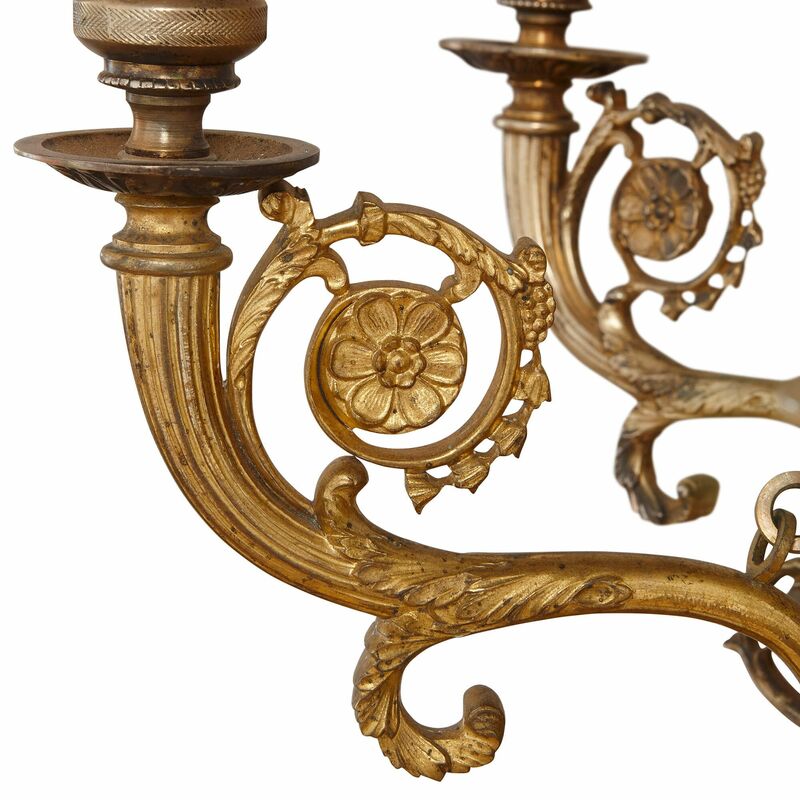 This chandelier, with its impressive, upward-sweeping design, would make an impressive statement to any luxury home or well-appointed interior.